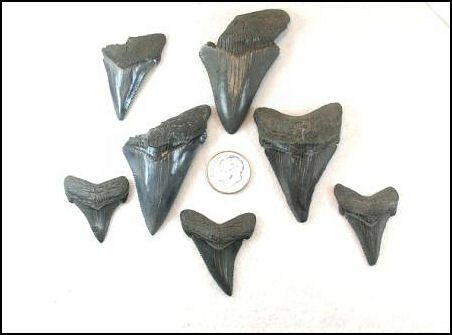 The Carcharocles group is best known for the species C. megalodon, better known as megs. 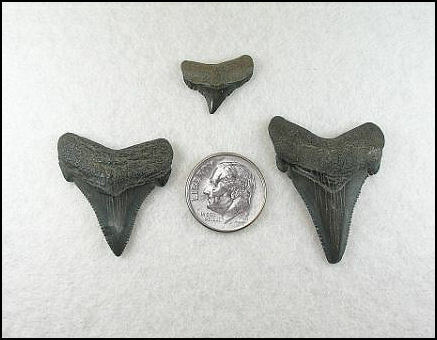 While there is some debate as to the actual number of species in this genus, we can limit the Carcharocles teeth found in Monmouth County, NJ to one of two species, C. auriculatus (Ricks) or C. chubutensis (Chubs). 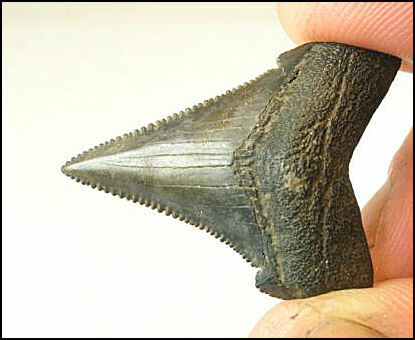 Carcharocles chubutensis, one of my favorite teeth, have a broad triangular shaped crown with even, medium to coarse serrations. 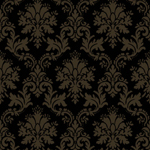 The cusplets are large and seem like they are a continuation of the crown. The root is block like in appearance a with shallow “U” shape. Average length is 1 ½ inches with maximum sizes reaching upwards of 5 inches. Author's note: Many of the chubs found in this area have cusplets that look more separated from the crown than one would find in most reference material. 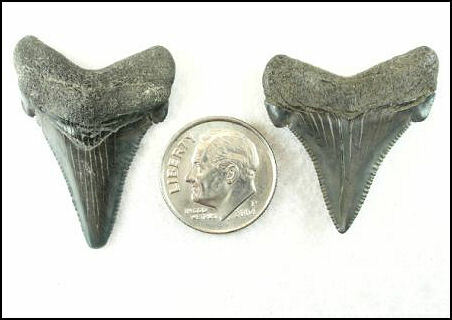 I personally attribute this variation to these specimens being of early Miocene origin. 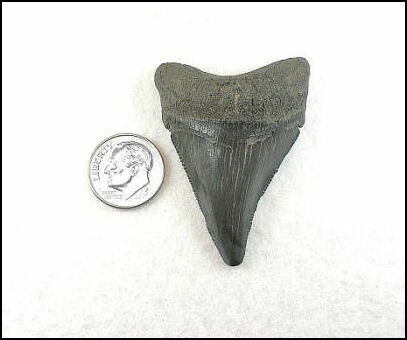 The top tooth is a posteria. be a continuation of the cutting edge. The serrations are even and range from medium to coarse. 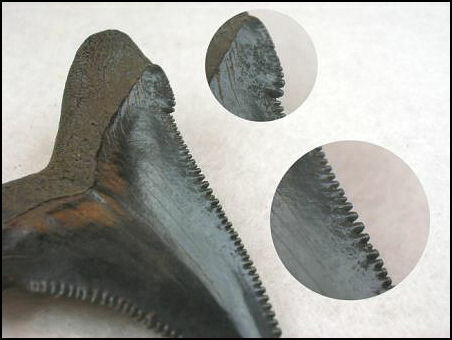 When viewed on profile the teeth are compressed. unsure if this is due to tooth position or simply a variation. At just a hair under 2 inches this is the largest complete "chub"
hat I have found so far. a few of my heartbreakers in this picture.